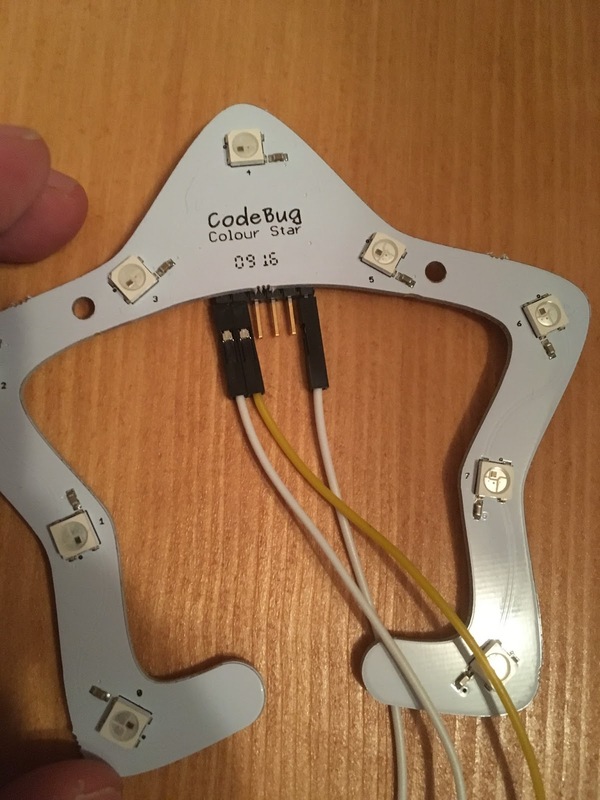 I have 5 codebug colour stars and one code bug. But I have access to many Micro:bits through work. Here is how to connect the codebug colour star to a MIcro:bit. 1. Turn the colour star so you can see the pins on the back. Attach one jumper cable to the data in pin and then attach a crocodile cable see fig 2 to the jumper cable and attach to the Micro:bit pin 0. 2. Attach the second jumper cable to the GND pin on the colour star and then attach a crocodile cable see fig 2 to the jumper cable and attach to the Micro:bit GND pin. 2. 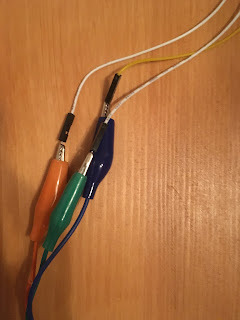 Attach the third jumper cable to the 5V pin on the colour star and then attach a crocodile cable see fig 2 to the jumper cable and attach to the Micro:bit 3V pin. 3. 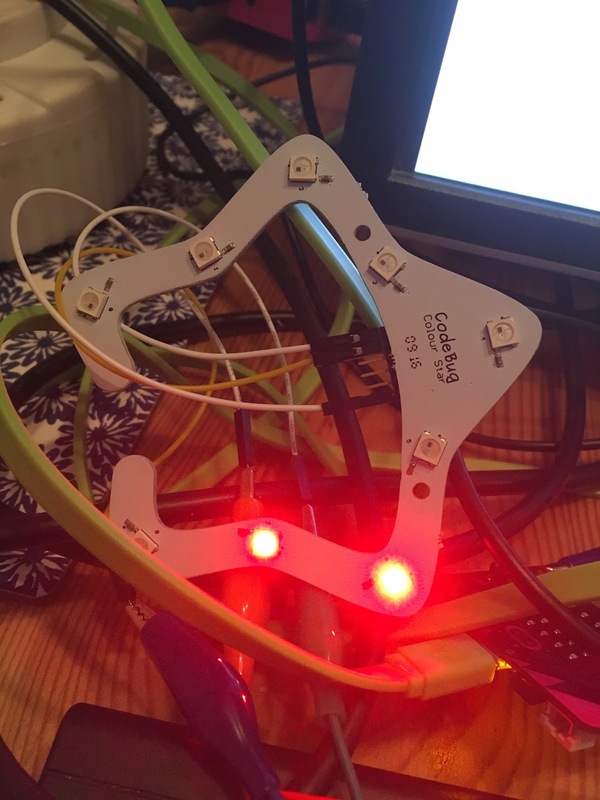 Attach the Microbit to your PC/Pi Open MU micro python IDE. 5. Flash the code to the Micro:bit.